Before selecting a garage door, you first have to decide on garage doors sizes that will best fit your needs. But what happens if your garage opening for doors is not a standard size and you need some special sizes to fit in? Never fear, there are a lot of various sizes available so you are most likely to find doors that fit your garage with an exact fit. Just in case you really can’t find anything suitable for your home, there is always the option of having your garage doors custom made. Before you get started and search for garage doors sizes measure the opening for your door. Try to be as precise as possible. If you are not sure, whether you have measured the opening correctly it would be a good idea to get an expert do it for you before ordering. If the size doesn’t match when you receive the doors, then there might be serious problems later on and you may will probably have to return the doors to get them in a different size. There are many types of garage doors available to consumers. Different types of doors require different garage door sizes to properly install. For example, overhead doors have a completely different installation process and require space along the ceiling of the garage or on both walls. Classic garage doors on the other hand don’t need anything except the space to install them at the opening. believe it or not standard sizes of garage doors vary among states and even cities. So it’s important to be extra careful to get the exact size when measuring your available space and when ordering the door. Another interesting fact that may surprise you is that if you have bought garage doors 20 years back, the sizes have changed in recent years considerably. Why is that? Because recent SUVs and pickups have gotten bigger. There are many things you have to keep in mind before ordering your new door but as long as you can get your car(s) comfortably in the garage and you have double checked the garage doors sizes you shouldn’t experience any problems. Call NYC Rolling Gates today to find out more about our Garage door installation and repair service. Need help getting your garage door inspected or repaired? Call us at 917-439-8428 and let NYC Rolling Gates service your garage door. 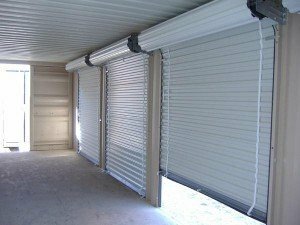 We can fix or modify: any brand’s chain systems, folding doors, electrical/mechanical issues, sliding gates, overhead doors, or openers. 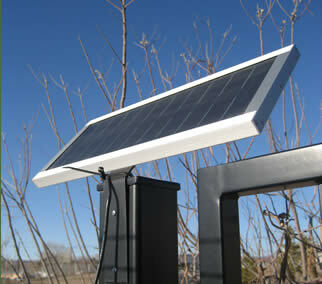 NYC Rolling Gates also specializes in support replacing garage doors and openers if a garage is too damaged for use. Any time you’re in need of a professional to handle your garage door repairs and installation, be sure to think of NYC Rolling Gates. If you’d like to purchase or install a garage door for your lovely Long Island home, you should only use the best company. NYC Rollings Gates is simply the best choice for your garage door repair and installation services due to our experience and longevity in the business. For over two decades now, NYC Rolling Gates has been the best when it comes to working on your garage door. With our unrivaled experience, and knowledge of sales, installation and repair work, you will receive exemplary garage door work that will leave you satisfied. We take pride in being able to provide you with speedy home and business care 24 hours a day, 7 days a week, anywhere in Long Island, as well as Manhattan, Queens, The Bronx, and Brooklyn. We replace and install all major brands, such as Martin, Able, Clopay, Liftmaster, Amarr, and more. You might not know this but, problems with garage doors come about at the worst times. Instead of worrying about someone breaking into your home or business you rest assure that we will see to it that your garage door work perfectly and functions at all times. We at NYC Rolling Gates, have worked on almost every problem imaginable when it comes to garage doors, and we’ll be able to tackle any problem you throw at us, professionally. 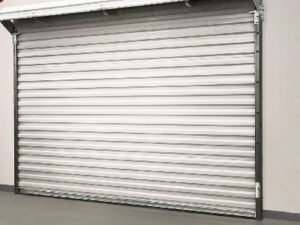 We are skilled and knowledgeable in all types of garage doors, and can provide you with garage door suggestions, fill hardware needs, and also sell garage doors and parts. We specialize in all types of garage work, offering many alternatives that best suit your needs. We always do our work fast, friendly, affordably and professionally. 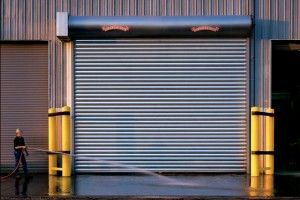 From garage doors at your home to multiple or single garage doors for your business, NYC Rolling Gates, completes all work perfectly in record time. There’s no job too small or too big and we’re prepared to complete the work you need done according to your schedule. 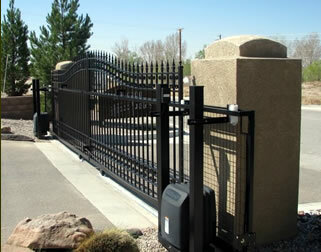 NYC Rolling Gates is proud to offer our customers a full line of products to protect their business. 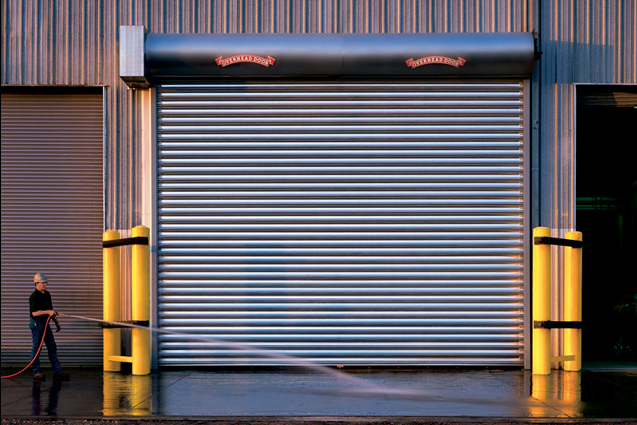 NYC Rolling Gates not only invests lots of efforts in your business but we also protect your business with the best care possible by providing our clients with attractive way to protect their business from vandalism and burglaries. Unlike other products, NYC Rolling Gates products cannot be easily removed or pried. There are many ways NYC Rolling Gates can help you secure your business. 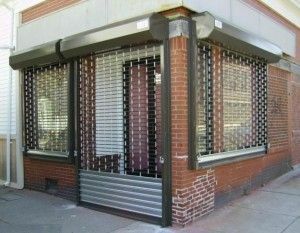 For example, our products help prevent vandals from etching on your expensive glass by securely locking down your place of business after closing time. Here are just some of the many applications we help secure. 24 Hour 7 day repair and Installation of all types of security gates. From roll up door gates, window gates to security store front gates. Change Fix replace open stuck jammed off track gate. Roll up gate rolling gate motorized gate. Gates opener gate key opener key switch gate switch. Electric Gate springs curtain repair links metal gate iron gate. Emergency gates opener New York City, gate key opener, key switch NYC, gate switches New York City. NYC Rolling Gates has been around for a long time, servicing Manhattan and the other boroughs included Long Island. Located at 375 W 56th St New York, NY 10019. We at NYC Rolling Gates practice service with a smile, and our technicians and specialists are not only intelligent but have tons of experience in the field. Our company has especially well trained employees that work locally in all of Manhattan, and the surrounding New York City Area. We provide 24 hour service, and no job is too big or too small. For many years we have installed, repaired and serviced everything from roll up doors, metal gates, and security grills for stores, to garage doors, home gates, and even solar powered gates. Not only do we have immediate response time, but we also provide 24 hour emergency rolling gate repair service 365 days a year, so call us today at 917-439-8428. When it comes to choosing the right gate for your home or business, it can often be a complex decision and process. Things such as rolling gates and roll up windows are not only made from metal but wood and special vinyl as well, so it’s important that you find the perfect match for you. Size is also crucial in your decision-making because it all depends on the space you have available on the property. Ultimately no matter what you end up deciding on, our products at NYC Rolling Gates are built to last in addition to providing you with the security that you need for your home and business. Manhattan NYC, NY: Battery Park City, Canal Street, Carnegie Hill, Chelsea, Chinatown, Clinton, East Harlem, East Village, Financial District, Flatiron, Gramercy Park, Greenwich Village, Hamilton Heights, Harlem, Hudson Heights, Inwood, Little Italy, Lower east Side, Midtown Manhattan, Morningside Heights, Murray Hill, NoHo, Randalls Island, Roosevelt Island, Soho, Spanish Harlem, Sutton Place, Tribeca, Tudor City, Union Square, Upper East Side, Upper West Side, Washington Heights, West Village, Yorkville. Maintaining good conditions in your home on Long Island is very important. However the hard part is this task requires time and a certain amount of creativity. People tend to use different types of equipment to make sure that their home and properties are well guarded. Some homeowners tend to use garage hatches. They tend to help you maximize the value of your home. Homeowners may also use affordable Garage doors in Long Island to enhance the appearance of their homes. If you have the right information, getting the best gates for your home can be an easy task. Through online services, companies provide people with vital information and services. The most important thing to do is to locate a reputable company. The company you choose should offer quality services associated with garages and may also specialize in other things. Homeowners in Long Island that are choosing a garage door should understand a few things about hatches and doors. These hatches and doors come in different in all different designs and materials. Some of the common types of hatches are retractable, hinged sectionals retractable and canopy side. People who have limited space in their driveway are recommended to use sectionals hatches. If you’re looking to achieve a unique appearance for your garage, you can buy custom made gates that best suit your requirements. Advancements in technology have greatly improved the mechanism of hatches over the years. The mechanism of opening these doors has also been improved due to the introduction of electronic devices. Manual gates are slowly being replaced by remote controls and motorized doors. 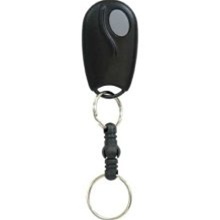 The use of remote controls help you open gates from the comfort of your own car. There are many factors one should keep in mind when choosing a garage door. Some of these factors include comfort, design and maintenance. Proper maintenance of the equipment is imperative in order to avoid future accidents or issues. One should inspect their gates in order to ensure that everything fits and is installed properly. Inspect fixtures like rollers, springs and other pieces installed in these gates. Aesthetically, garages should have appealing gates when it comes to design and color. The exterior and interior designs should be similar in style. This is important because you will be able to have a unique look. Also be sure that the color of the paint matches with the color of your home. To ensure smooth movement of your gates, you should slide and move them regularly.